If you are experiencing an unfamiliar driving experience on the road, a pot hole or curb may have knocked your wheels out of line. Mis-aligned wheels wear tires out very quickly; they can increase fuel consumption and even make a vehicle dangerous to drive. 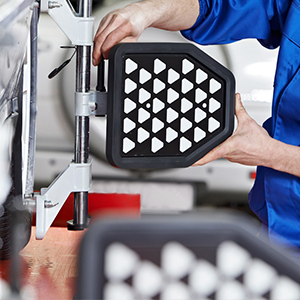 KJ Rule has the latest, state of the art alignment equipment at our site in Cornwall, to adjust your vehicles’ wheel and suspension alignment to minimise extensive and unnecessary tyre wear. We can provide you with a fully suspension diagnosis to highlight the main areas of concern and advise you on the best route to take to resolve the issue. We use state of the art 4 wheel camera laser equipment to measure and correct alignment faults such as tracking, camber and castor to both front and rear wheels.